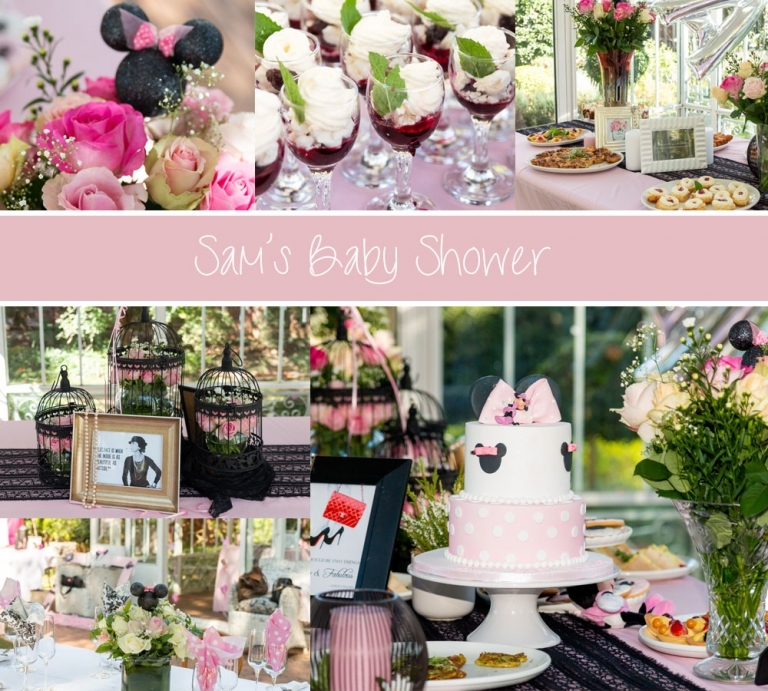 Last week Sunday I was invited to document Sam’s baby shower at the beautiful Buitengeluk venue in Fourways. It was such a special event and a beautiful celebration in preparation for the arrival of Sam’s little princess. Friends and family spent the afternoon together in the tranquil garden overlooking the stunning Glass House. The theme was a perfect fit for this mommy to be; Coco Chanel meets Mini Mouse! Everything from the flowers, table decor and food fit in with the stylish afternoon. 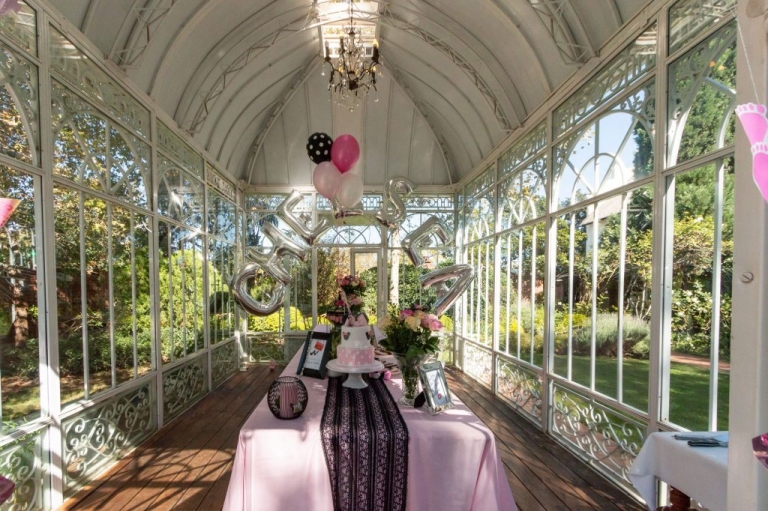 The Glass House was decorated in pink and black lace. The attention to detail was amazing! Such a special moment between Mommy & Granny. Granny & Sis in law planned such a special day. What a gorgeous frame, just love the attention to detail!! On Saturday I met precious little Nina to do her newborn photoshoot. There is nothing more precious than photographing babies in their purest form. I arrived early morning and there was quite a cold bite in the air. As always, I went straight to the main bedroom to warm up the room to ensure that Nina will be comfortable during the shoot. Nina was such a sweetheart during the shoot, she had the best sleep and allowed me to photograph all her little details which will sadly soon change as she grows up. I feel so blessed to be able to capture the special bond between a family in these early days of their child’s life. Such a beautiful Baby Shower in preparation of your little girl’s arrival. 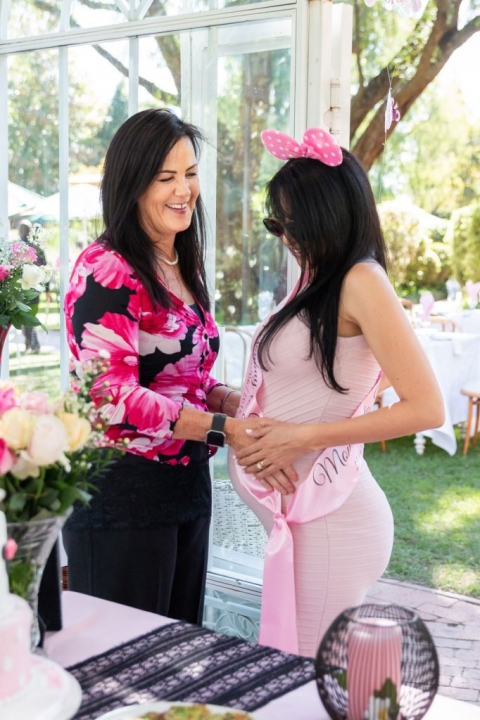 I recently photographed Stef’s baby shower at the beautiful Casalinga Ristorante in Muldersdrift. She spent the day with friends and family who came to celebrate the arrival her little princess and everyone had a lovely time. Your family planned such a beautiful shower by paying so much attention to all the little details. It was such a lovely afternoon spent with the special ladies in your life, may your little girl be blessed with good family and friends, like you are! Enjoy this special time preparing for the arrival of your daughter. The ladies who planned the baby shower paid so much attention to the details resulting in a truly beautiful celebration! When Stef arrived she could not believe how perfect everything was and greeted “Granny to be” with so much love & appreciation. Guests had to guess the size of Stef’s baby bump, and this resulted in lots of laughs! And the moment we all had been waiting for….the opening of the presents. Your little girl is going to be one very stylish baby!! I had the privilege to go into this family’s home and do a newborn photoshoot for this sweet baby boy. It is such a special time in a family’s life to welcome a baby to the world. This Mom and Dad are completely in love with this little baby. Hunter decided that he wanted to be awake for his newborn shoot, and may I say having a baby look straight into the camera is truly captivating. Enjoy these special days with your newborn baby, time really goes way too fast!! I recently had the privilege to photograph Keegan’s 21st Birthday party at the beautiful Tintswalo Hotel in Waterfall. It was such a special evening shared with friends and family. Keegan was born on St Patrick’s Day, so they thought it well incorporate this day into the theme of St Patrick’s Day for this special event. Family and friends gave heart felt speeches reminiscing over Keegan’s life from a infancy until this special day of celebrating his adulthood.